Filers in the Patent Cooperation Treaty, Madrid Protocol, and Hague Agreement systems (utility patents, trademarks, and industrial designs) know that it is important to keep always in mind when midnight will arrive in Geneva, where WIPO is located. For a PCT filer, this matters because to get a same-day filing date, a PCT application being filed in RO/IB will (usually) need to be filed by 4 PM Mountain Time. The same is true for filing an Article 19 amendment. The same is true if you are using ePCT to file a Demand and Article 34 amendment. For a Madrid filer, this matters among other things for the payment of decade renewal fees. For a Hague filer, this matters for the the filing of an international design application at the IB. The point of today’s post is that starting yesterday, and for the next week, you get an extra hour to get a same-day filing date. 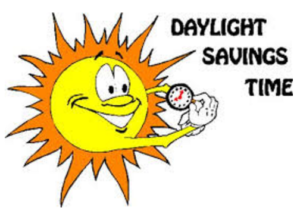 The reason is that Europe and the US carry out their daylight saving time transitions on different days that are a week apart. This means that you could file as late as 5 PM Mountain Time (instead of the usual 4 PM) and still get a same-day filing date. Things will return to normal a week from now, on November 5, 2016. How long it takes USPTO to issue a Certificate of Registration? 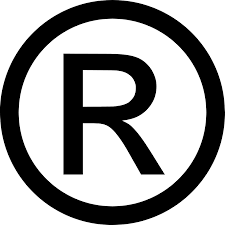 How long does it take the Trademark Office at the USPTO to issue a Certificate of Registration? That is to say, once an opposition period has concluded with nobody having filed opposition, how much time goes by before the USPTO actually grants the registration? Is it sometimes slower? Sometimes faster? The amount of delay turns out to be extremely predictable. As I mentioned in an earlier blog article, the fee that ISA/SG charges per invention to carry out a PCT search will increase on November 1, 2017. The fee charged in US dollars will increase from $1552 to $1645. 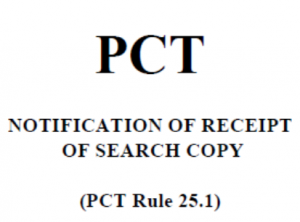 This offers an opportunity to save a little money, if a US filer is planning to file a PCT application in the near future and is planning to pick the Singapore patent office as the international searching authority. Just get the application filed prior to November 1. Did Accelerated Examination go away? Can you put your EPF file on a thumb drive? We all know that two-factor authentication is a Good Thing. Having said that, we have all known from the moment (thirteen years ago) when USPTO rolled out its awkward Entrust java applet approach for access to PAIR and EFS-Web, that it was a Bad Thing. Yes it provides two-factor authentication. But it provides the two-factor authentication in a very poorly designed way. Every year or so I have blogged (over and over and over again) about the need for USPTO to scrap that Entrust java applet approach in favor of any of a number of much more user-friendly types of two-factor authentication. Having said all of this, the plain fact is that for thirteen years now, USPTO has stubbornly stuck with this poorly designed Entrust java applet approach for PAIR and EFS-Web that it adopted in 2004. The approach is tied to an all-important “EPF file” which is the second of the two factors (in addition to a password). If you don’t have your EPF file with you at the computer where you are trying to log in, or if you misplace the EPF file, or if it expires (which almost always happens without warning) then it is impossible to log in to PAIR or EFS-Web. Is there any reason I can’t store the EPF file on a USB thumb drive? That way I can put it on a physical keychain, use it at any computer, and if it is renewed (whenever that is), I am always using the most recent certificate? It will be recalled (see blog article) that on October 1, the USPTO shut down its PDX relationship with the Japanese Patent Office and migrated the certified-copy traffic from PDX to DAS. As I mentioned in that blog article, the natural next step would be for USPTO to do the same for its PDX relationships with the Chinese patent office (SIPO) and the Korean patent office (KIPO). The natural next step would be for USPTO to migrate its electronic-certified-copy relationships involving China and Korea from PDX to DAS. This would offer the many benefits of DAS to practitioners handling cases connected with China and Korea. From the technical point of view such a migration ought to be easy and painless. It would only be a matter of turning off the PDX mechanism and the document flow should easily proceed within the existing DAS connections. Several countries maybe soon to join Hague Agreement! The typical first very visible step would be for a country to deposit an Instrument of Accession with the International Bureau of WIPO. The usual next development would be that the Hague Agreement would enter into force, with respect to that country, three months later. This is a very exciting time for the Hague Agreement.